In every way, Wavelength captures the spirit of the coast. 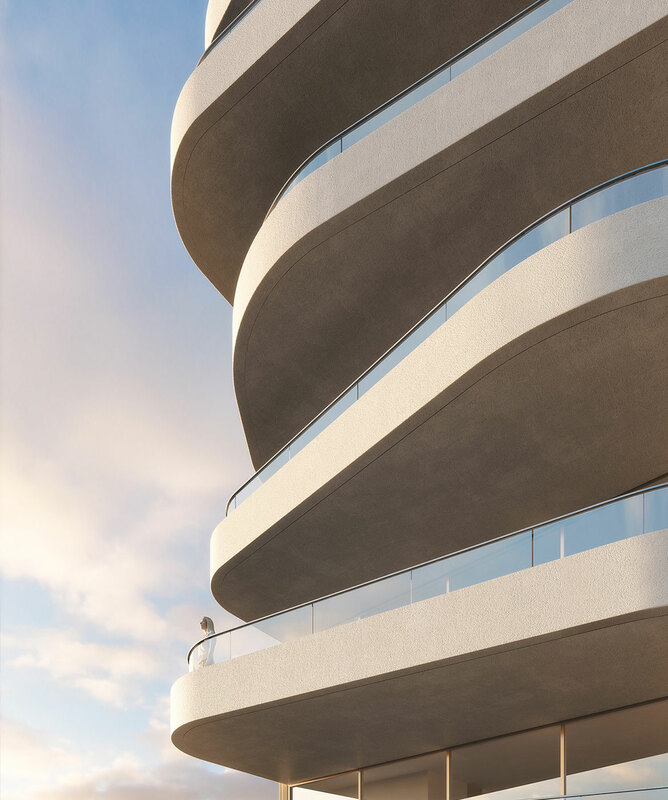 Its undulating façade recalls the movement of water against the shore as its rhythmic form dips and curves to maximise sun, breezes and aspect. Architecture at its best creates timeless buildings that respond and connect to their environment. Surrounded by brilliant blue ocean, lush foreshore park and kilometres of golden sand, Wavelength brings a fresh face to this breathtaking backdrop. 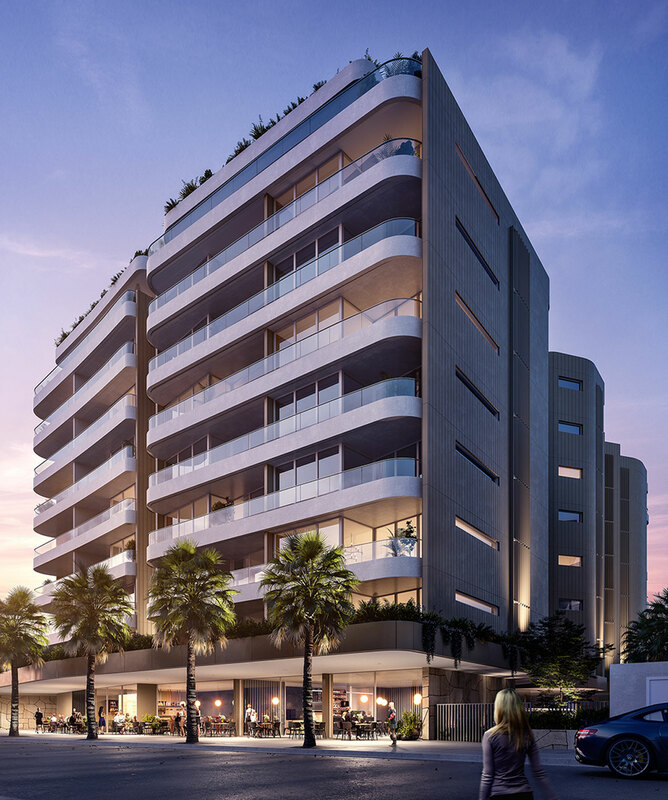 It offers an inspired first for this sought-after beach suburb, fusing contemporary and coastal architecture to wonderful effect. 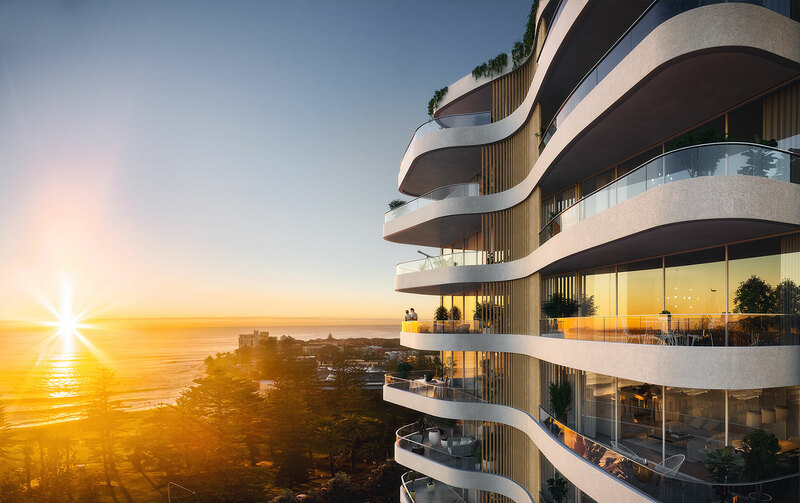 Reaching out to the ocean, these your breathtaking home deliver the finest architecture and design ever seen in the prized coastal heart of Cronulla. See the outdoors drawn inside through Wavelength’s luxurious curvaceous form. 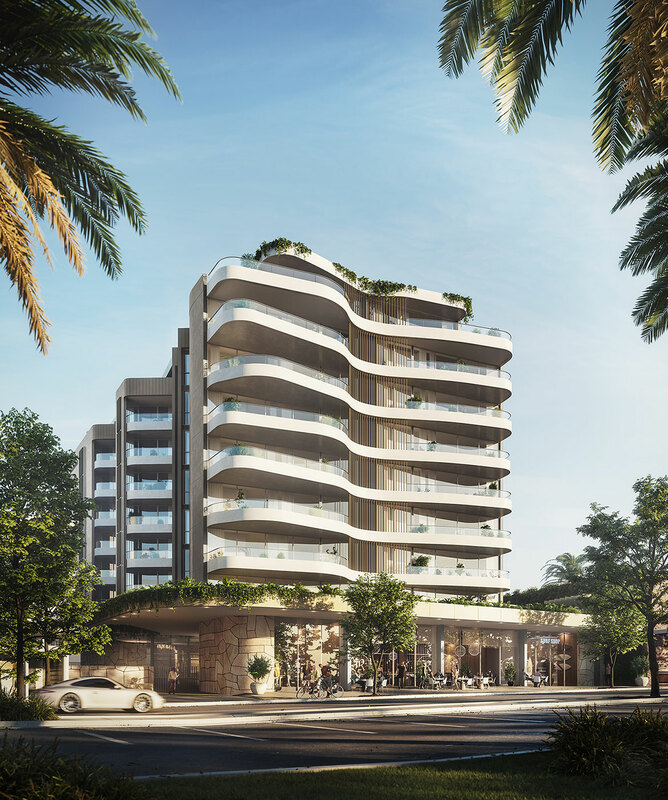 Discover resort-style leisure zones that feel like an extension of the beachfront, with your own private world of sophistication and beauty in the residences above. Arriving home, Wavelength’s beautiful lobby creates a statement introduction to the exclusive residences above. 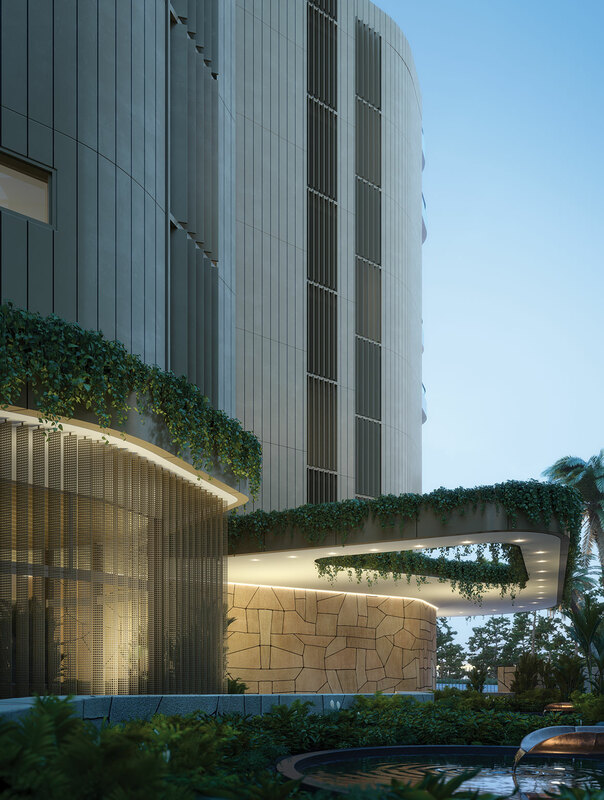 Its sandstone walls, cascading greenery, tropical palms and water play form a harmonious welcome that resonates so perfectly with the coastal surrounds. Your private podium playground floats above, for exclusive use by Wavelength’s residents and guests. Plunge into the crystal-clear pool. Catch the sun’s rays on the loungers alongside lush tropical landscapes. Practice morning yoga in the wellness room. 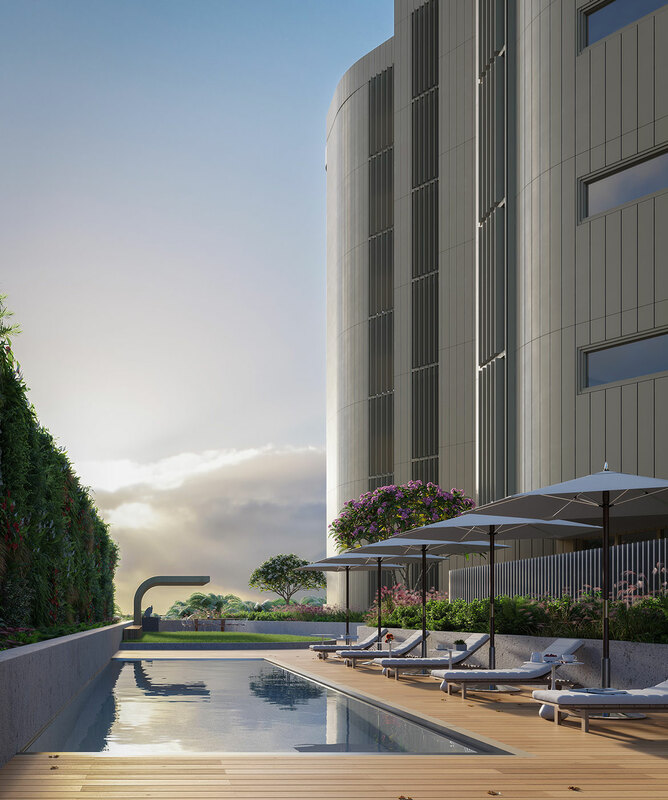 The expansive deck has private zones for alfresco barbecues, open-air gatherings and shady niches to relax and soak up the leisurely ambience. Disclaimer: The pictures showing the interior and the exterior are computer generated and indicative only. Completed apartments may vary from the images shown.